The CosMedix Refine Plus is a high level Vitamin A serum designed to help your face continue producing healthy cells. Are you looking for a serum which is effective as well as giving long term healthy hydration to keep your skin fresh and youthful? The CosMedix Refine Plus is a high level Vitamin A serum designed to help your face continue producing healthy cells. Without healthy skin cells, your skin won’t stay firm and young. We suggest you use Refine Plus every third night initially when you add it to your nightly routine, gradually increasing your use of this product over a few weeks until you are using it nightly. 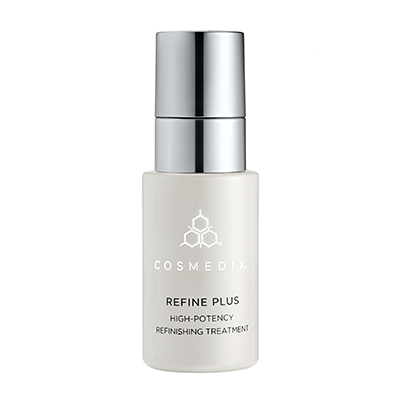 You could even begin your new routine with a slightly lesser active product in the CosMedix Refine and after 1-2 bottles increase to the Refine Plus. After you start using the CosMedix Refine Plus, you will be pleasantly surprised to see your skin’s natural damage reduced and your wrinkles returned to fine lines. It is never too early to start a skin care routine. 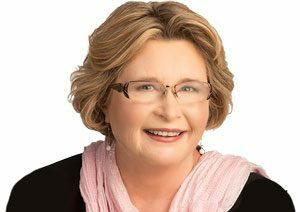 Whether you are 25 or 65, this skin care product is for you. If you are closer to 65, treat your skin to rejuvenating and revitalizing strength with antioxidant serums as well Are you on the other end of the spectrum? Use this product for problematic spots, and the results will bring you clear, hydrated skin. When you add CosMedix Refine Plus to your nightly skin care regimen, you will discover a whole new you. Let this Vitamin A-enriched refinishing treatment change your skin into a younger, brighter looking version of you. You have never felt as confident as you will after adding this strengthening formula to your routine. Let all of your inner beauty shine through. Use this invigorating product with CosMedix Affirm. 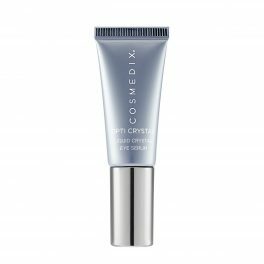 CosMedix Radiance or CosMedix Benefit Balance for the building up your skin’s maximum strength. I love this product. I started with Refine which is the 4% version. I loved it and noticed a difference in my skin within two weeks. After one month of Refine I switch to Refine Plus. I see improvements in my skin with each morning. I use these along with frequent in salon treatments and other Aspect Dr & Cosmedix products. I have used Refine Plus for several years. I alternate with Refine. It is a strong Retinol and I find needs to be diluted with liquid – I use a little rose water, to avoid stressing my skin. Retinol products have an excellent effect on skin tone and texture and I use them on a daily basis. CosMedix is a very good brand.